Ohana is an event that encourages Danzan practitioners to share information, notes and stories. It is considered a family event. The event mixes both instruction and entertainment. It is held every two or three years and is sponsored by one of the several Danzan organizations. KDRJA Members have attended ALL of the Ohana events since The DZR Ohana’s inception in 1990. 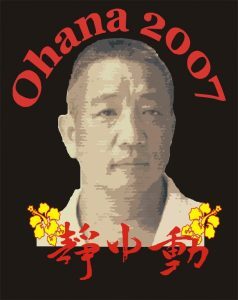 The KDRJA also hosted the 2007 Ohana in Santa Clara, CA.